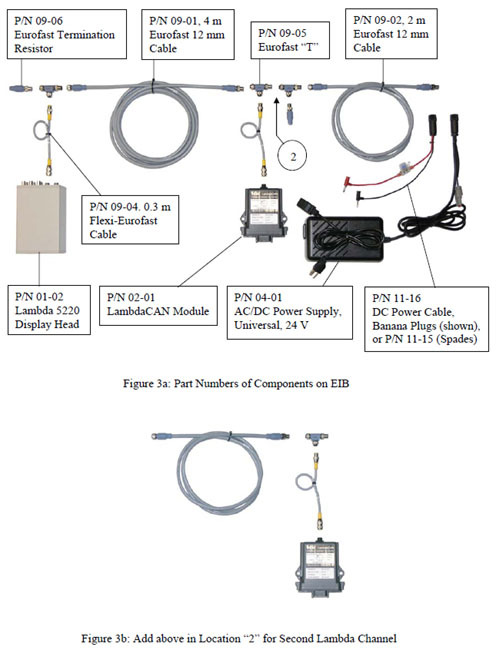 ECM's Lambda 5220 is a powerful, "next generation" wideband Lambda and O2 analyzer. In addition to providing outstanding measurement range and accuracy, the Lambda 5220 addresses the two principle sources of error with wideband sensor use: sensor aging and exhaust pressure. 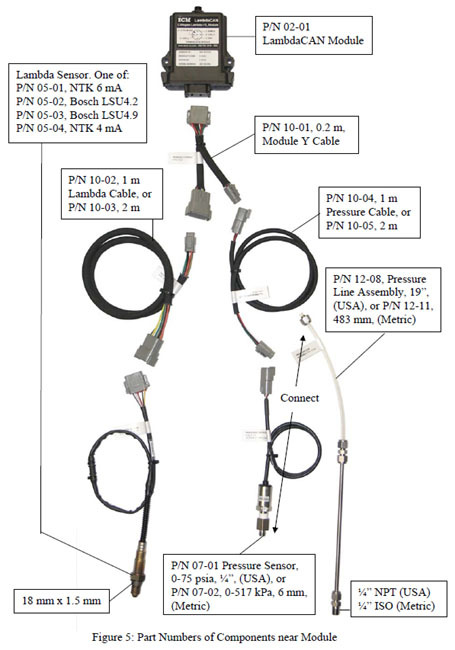 All wideband sensors supplied are factory-calibrated and this calibration is stored in a memory chip in the sensor's connector. However with use, sensors can age and when this occurs, the calibration will no longer be accurate. To restore accuracy, the Lambda 5220 can be used to recalibrate the sensors and this new calibration will be stored in the same memory chip. Pressure compensation (P-COMP™) corrects for errors due to exhaust back pressure, altitude changes, and barometric pressure changes, and is absolutely necessary for pre-turbo and diesel applications. 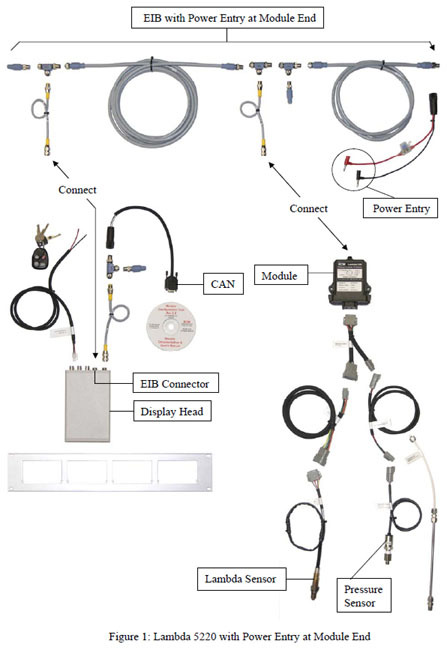 The Lambda 5220 will work with all NTK and Bosch-type wideband sensors and is programmable for all fuel types (H:C, O:C, N:C, and H2). Lambda (λ), AFR, φ, O2, and all sensor parameters including pumping current, cell resistance, sensor age factor, and pressure are available for display and output. A second lambda channel can be added. The Lambda 5220 is suited for both dynamometer and in-vehicle work. With six analog outputs, CAN, USB, and RS232 communication, the Lambda 5220 can be integrated into any data acquisition system. Distances of up to 100 meters between the sensor and analyzer are possible. To simplify in-vehicle use, the Lambda 5220 can be turned on and off with a signal from the vehicle's ignition switch. 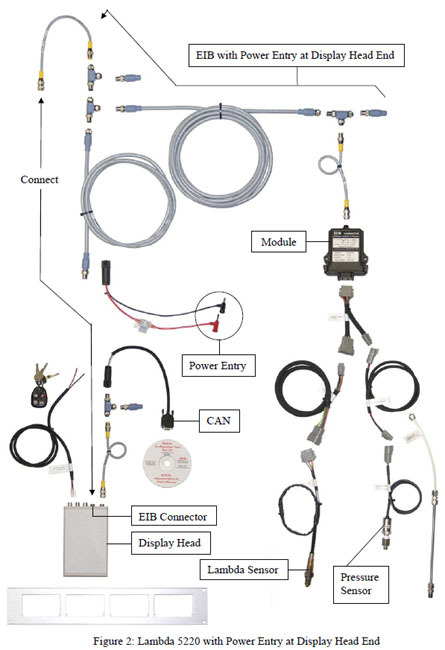 This feature along with the analyzer's CAN communication capability make it possible to use the Lambda 5220 in the loop of a real-time emissions control strategy. Lambda is the most important parameter influencing the emissions, fuel economy, and drivability of combustion engines and it is imperative that it be measured accurately. 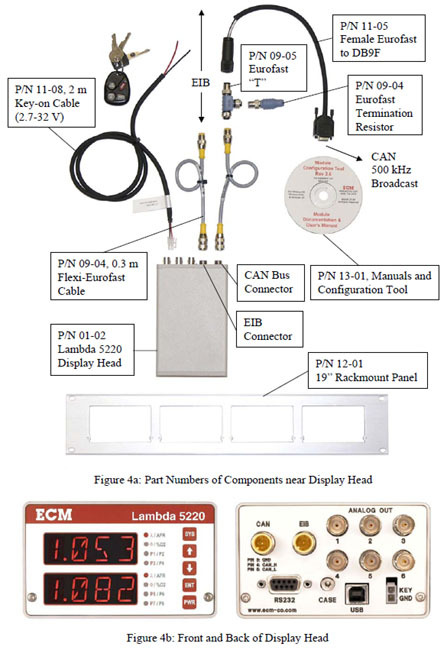 For more than twenty years, ECM has been producing precision Lambda instrumentation for vehicle and engine developers. 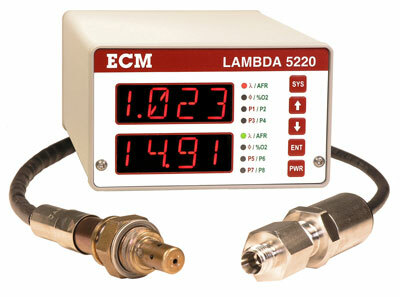 ECM's Lambda 5220 represents the pinnacle in Lambda and O2 measurement technology.